VogueTyre.Info -PUBLIC NOTICE- NOT authorized by Vogue Tyre! Public Notice: Are your Vogue Tyres defective? If so, we want to hear from you! 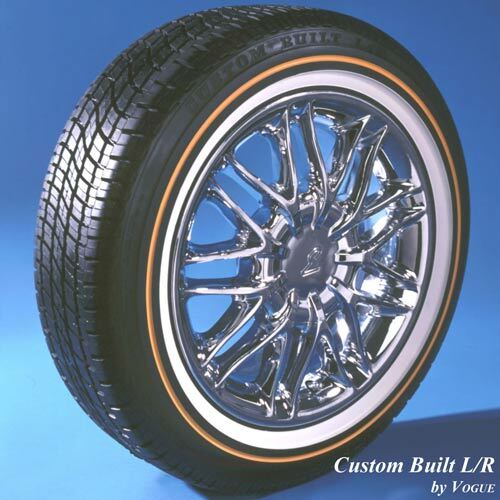 This Web site is addressed to any consumer whose vehicle has (or formerly had) tires manufactured or sold by Vogue Tyre & Rubber Company or labeled Vogue or Vogue Tyre. Likewise, if you have owned, driven on, or had any experience with tires having the Vogue or Vogue Tyre label, anytime within the past twenty (20) years, then this public notice is addressed to you. If you have had any complaints about the quality or performance of your vehicle's Vogue Tyres, then we want you to contact us. If you have observed any defects in your Vogue Tyres, including what appear to be defects in manufacturing, in materials, in workmanship, and/or in quality control, then we want to hear from you. Further, if you have ever encountered difficulties in getting a Vogue Tyre dealer, Vogue Tyre service store, or Vogue Custom Center to honor the Vogue Tyre & Rubber Company Limited Warranty, then we want to hear from you. 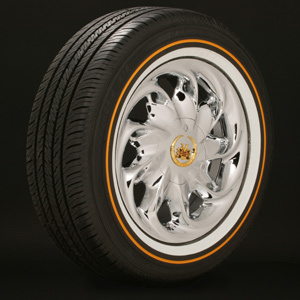 Observed defects in a Vogue Tyre could include, but would not necessarily be limited to: tread separation; separation of white sidewall from black sidewall; out of roundness; ozone and/or weather-related cracking of the tread; bubbles, cracking, separation or other defects in white or yellow sidewalls (including those that may seem cosmetic, but which could indicate other more serious problems underneath); poor handling characteristics; vibration at highway speeds (even after balancing); issues of steering control; premature treadwear; sudden tire failure; blow-outs; etc.. If you have ever encountered any of the above-referenced defects in one or more of your Vogue Tyres, or if you have ever experienced with Vogue Tyres any of the driving problems associated with such defects, or if you have ever encountered difficulties with warranty coverage being honored on your Vogue Tyres, then please let us know. Please feel free to post your experiences on our new Vogue Tyre Blog (www.VogueTyre.blogspot.com), or contact us by e-mail, by telephone, or via 'snail-mail' at the address shown below. All communications will be kept strictly confidential. Yes, I have a 2001 Deville. I have four Vogues I purchased from Crestmont Cadillac in Beachwood, Ohio four years ago. After I left the dealer, I noticed a vibration on the ride that was not there with Michelin's before. I took the car back and complained that from 60 mph, I felt in the steering wheel and heard a vibration. The tire manager rebalanced the two front tires again. I thought, "Why would he have to rebalance them again?" Well, the vibration never stopped to this day. I should have known better after that day, but I like a whitewall and lived with it even though they destroyed the ride of the car. On May 12, 2009, I took the car to Classic Cadillac for a cruise control problem. I asked the service manager to see why I have a vibration at 60 mph and higher. I told him I had the tires rotated and balanced two times since I bought them. We check the car, it is safe, no other worn parts were found. He said the car should ride a lot better now. I spent $782.00 that day and left the dealership and went home via the freeway and found out the vibration was exactly the same as before. Pissed off, I went back and complained to the service manager who took a ride with me. He felt it and said, "I know what's wrong." I got off at the next exit and he drove back to the dealer. He said (quote): "IT'S THE TIRES!" He said, "ALL OF THEM!!!!" "We have experienced this problem many times with Vogue Tyres, and we stopped carrying them because of it." "There isn't one Vogue on our tire rack!!!" "People like the look and want them, but they do not ride well afterwards." He said, "Drive the car 500 miles more, then call me and I will rebalance the tires at no charge for you because we care about our customers here." The Vogue Tyre logo is a registered trademark - ©2009 Vogue Tyre & Rubber Company. The Vogue Tyre logo and the photos of Vogue Tyres contained herein are used on this Web site without permission. Copyright ©VogueTyre.Info®/™ All Rights Reserved. ®/™ Trademarks of VogueTyre.Info and its affiliates.